An extreme of winter on Earth is Antarctica, where the handful of research bases are places of solitude and waiting. The Franco–Italian Concordia outpost, seen here in this cool space wallpaper, is one of these. An extreme of winter on Earth is Antarctica, where the handful of research bases are places of solitude and waiting. The Franco–Italian Concordia outpost, seen here in this cool space wallpaper, is one of these. Here, ESA takes part in research and operations by providing the base doctor each year. 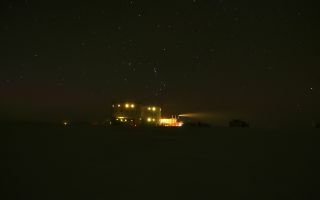 ‘Overnighting’ in Antarctica is close to being on the International Space Station, making it an excellent location to try out technologies and techniques for spaceflight. This image was taken on May 15, 2013.